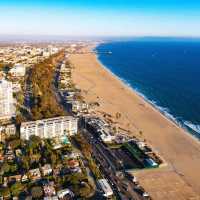 When the residents and business owners of Orange County’s biggest beach city are looking to relocate and need quality moving services, they turn only to the experts at Acclaimed Huntington Beach Movers. Acclaimed has spent the last decade developing a name for itself in the community with its an unparalleled knowledge of the city and how to relocate homes and businesses within its borders. Our Huntington Beach movers are prepared to quickly and efficiently work around any obstacles the coastal community can present during a move, aided by the fact that we provide them with the industry’s finest tools and equipment. As a full-service residential and commercial moving company, Acclaimed Huntington Beach Movers has experience with homes, apartments, condos, offices, warehouses, retail facilities, restaurants, and much more. We are the go-to, full-service residential and office moving company in Huntington Beach, and in recognition of our unmatched dedication and expertise, our ratings on Google and Moving Authority have maintained at 4 and 1/2 from Google and 5 stars from Moving Authority throughout our 11 years in the industry. When you’re ready to relocate, you’re ready to trust Acclaimed Huntington Beach Movers to make your move a snap. We believe that every move should be an incredible, luxurious experience that makes you a lifelong customer. That’s why when it comes to our team of relocation specialists, we only employ the best of the best. We begin by selecting only the most qualified relocation specialists in the business; movers who have years of previous experience and insider knowledge of the ins and outs of the moving industry. Next, we enlist each new mover hired by our company into our specially-crafted, in-depth Acclaimed Movers training course. This course was designed in-house to ensure that all of our relocation specialists are remarkably skilled in the areas of wrapping, packing, disassembly, reassembly, and physical moving of the items of our customers. It’s essential to us as the premier luxury moving company in the Huntington Beach area that we employ only the most professional and qualified relocation specialists in the business, so we make certain that all of our movers undergo the kind of training required to go above and beyond for our customers. Moreover, we equip our team with cutting-edge materials and equipment, like piano tilters, lifts, and reinforced moving boxes. Our skilled professionals and the equipment they have at their disposal combine to create a packing service with a standard of unparalleled quality. You can rest assured that when Acclaimed takes care of the packing for you, your items are sure to arrive in the same condition in which they left your care. Our packing service also includes custom crating for all special items like flat-screen TV’s, artwork, pianos, pool tables, and antiques. All transportation of your belongings is carried out by our very own fleet of top-of-the-line trucks equipped with GPS. Each truck is cleaned and maintained regularly, and meets all of California’s strict regulations and standards. We’ve already taken care of the little things, so now let us take care of the heavy lifting as well. The only finger you’ll have to lift during your move is the one you use to call Acclaimed Huntington Beach Movers. Comprehensive pre-move guidance Starting with our Huntington Beach moving consultants, we’ll help you pick the perfect moving day, find the right materials and supplies, and keep the process organized and on track. A full inventory and pack of items Our Huntington Beach movers work with you to develop a complete inventory of the stuff you want to move. Then, we put our skills to work and pack up all of the inventoried items. We also use a color-coded labeling system to maintain organization and make unpacking a breeze. The services you need We offer commercial moving for businesses that are looking to relocate, regardless of the size or type of business. We also offer long distance moving and international moving for those looking to move across the country or around the world. If you have an automobile, we have vehicle shipping services. We have solutions for all of your moving needs. An Earth-friendly experience Because we want to do our part for the environment, all of our contracts are printed on soy based paper with a soy based ink. Additionally, we have converted all of our trucks to bio-diesel fuel, which has drastically reduced the effect of our emissions. Our entire fleet of trucks is also equipped with GPS, for up-to-the-minute tracking reports and to prevent our drivers from ever losing their way. When you’re ready to obtain a free, no-obligation quote from Acclaimed Huntington Beach Movers, feel free to try out the easy-to-use, online moving quote generator on our homepage. Also, we have our moving consultants available six days a week who can get you a quote in minutes over-the-phone. Moreover, we offer free on-site estimates for all of our Huntington Beach customers. With the Acclaimed on-site, our estimator physically assesses the move with a comprehensive evaluation of the services you require so that you can get a “not to exceed” quote price. Our on-site service protects you from overlooked fees and unexpected costs. When you move with Acclaimed Huntington Beach Movers, you’re sure to have an effortless and enjoyable experience. Get a quote today and we’ll get you moving.